Trump has been brought under conrol by assassinating him with words rather than with a bullet. With Steve Bannon’s dismissal, there is now no one in Trump’s government who supports him. He is surrounded by Russophobic generals and Zionists. Lincoln was elevated to the undeserved position of black liberator by the historical lies made up by white liberal/progressive/leftists who hate the South. They are so consumed by hate that they do not understand that the hate that they teach will also devour them. They should read Jean Raspail’s book, The Camp of the Saints. 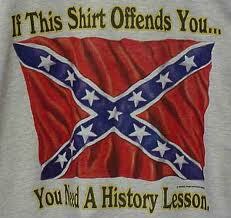 People taught racial hate do not differeniate between good and bad members of the people they are taught to hate. All are equally guilty. As one Third Worlder wrote to me, “all whites are guilty,” even those such as myself who speak out against the West’s atrocities against the darker-skinned peoples.